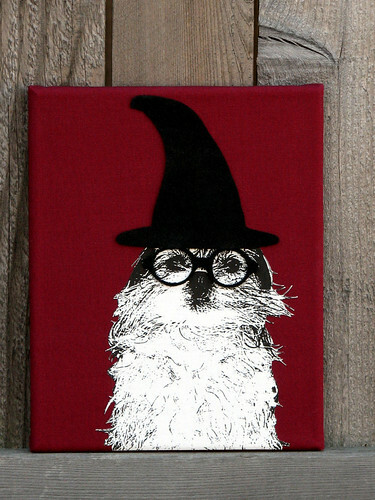 This canvas features our favorite furry wizard sporting his Magical Hat (+150 Spell Power) and glasses (+350 Intellect). These very rare drops are created from eco-friendly felt made from recycled (magical) plastic bottles. Reference photography also by The Curious Canvas.